VDS Takes Cinema 4D to the Edge! VDS Takes Cinema4D to the Edge! Maxon’s Cinema 4D is the most advanced, intuitive 3D motion graphics package on the market. Renowned for stability, speed and ease of use, C4D is the bedrock upon which many leading companies base their entire 3D workflows. While C4D speeds up the creative process by design, NextComputing’s Edge workstation line brings together AMD Ryzen 7 and Nvidia GTX 1080Ti processing to complete the solution. 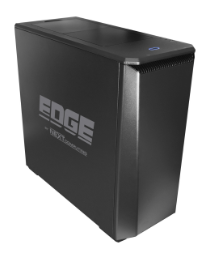 Need to Take it and Go - Introducing Edge D100! 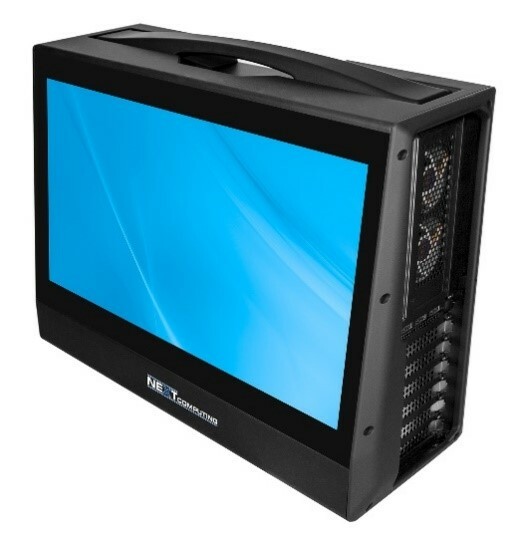 A true desktop-level high-performance workstation in a portable form-factor. The system fits neatly in its included carrying case, ready to take with you anywhere, and easily stows in the overhead compartment of most commercial planes. Add in the integrated 1920 x 1080 HD display and the advanced acoustic management that renders the system so whisper quiet that this take-anywhere portable, designed to steal a show or meeting room, finds itself equally at home running deskside, in silence, as it does under the bright lights of the NAB show where it was unveiled! Portable Workstation, Integrated 17.3" HD Display (1920x1080), AMD Ryzen 7 2700X 3.7GHz 8C/16T,32GB DDR4 2666MHz, 500GB NVMe M.2 SSD, 1TB NVMe M.2 SSD, GTX 1080 Ti, DVDRW, Keyboard,Mouse, 1/1/1 Warranty, Win 10 Pro 64bit, 800W. Includes Custom carrying case. INTERESTED IN LEADS? VDS has a list of NAB End User leads interested in AMD Solutions. Contact us today for a list in your territory and to learn more about these 3D powerhouse solutions that is trusted by the pros and created for the channel! Please do not respond to this unmonitored email address. To reach our team, please email sales@versatileds.com or call 1-855-824-0568.